Mar. 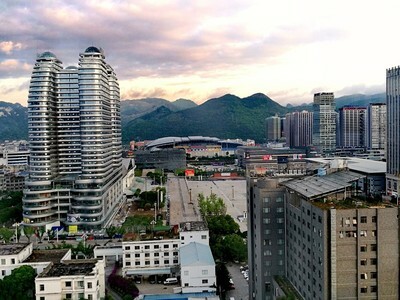 19 (NBD) – 2,000 kilometers to the southwest of Beijing, in the midst of Karst mountains, lies a small city named Xingyi. It's a remote place most people associate with ethnic minorities and underdevelopment. To the surprise of many, the fifth-tier city is the birthplace of China's biggest game account trading company, Taoshouyou. The company headquarters in an old building in Xingyi, where hundreds of computers are neatly laid out on an entire floor. Employees, averagely aged 21.5, are busy with their work. The scene almost looks like a giant Internet café commonly seen in China's lower-tier counties. It was through this company that 4.7 million players traded their game accounts, seeing 1 billion yuan (149.1 million U.S. dollars) worth of business in 2018. Tens of millions yuan in net profit made Taoshouyou one of the rare Internet companies in Guizhou Province. The business is similar to smartphone recycling. Players sell their accounts for 20 percent to 25 percent of the money they have put in the games, and Taoshouyou takes commission fees in transactions it facilitated. Since Taoshouyou's establishment over five years ago, several competitors in first-tier cities backed by industry giants and ample funding have vanished. Yang Peng, the low-profile and hardworking founder, holds the secret of success that tech elites failed to grasp. "What we do is the dirtiest and most laborious job in the game industry," said Yang to Ciweigongshe, a self-media account focusing on China's content industry. "If we want to make 5,000 transactions a day, we need to find 5,000 sellers as well as 5,000 buyers. But these people are not coming to us, so we need to keep promoting." For employees in Taoshouyou's promotion team, their daily job is to invite higher-end players who don't want their accounts to come to Taoshouyou. The process is simple: register accounts in various games, and send private messages to top players. An employee needs to talk to 800 players per day in about 8 hours. "If you are playing a game in the top 100 list, and your account appears on scoreboard, my guys would have talked to you at least ten times in one month," said Yang, who humorously called his company "the Internet Foxconn", as the routine is simple and repetitive like that of assembly lines. Supervisors of the promotion team hardly know anything about online games, but they used to work as supervisors in Foxconn with rich experiences in management and quality inspection. The promotion model lowers the company’s customer acquisition cost to less than one fifth compared with competitors, which need to pay over 1 U.S. dollars for every click in Baidu's bidding-rank search results. If the 1,000 employees are based in Beijing, the company wouldn't be able to pay their salaries, let alone making profits, said Yang. Beijing is good for innovations in business model and technology, "but I can only stick to the down-to-earth model," he added. Another thing that Yang doesn't understand is how his competitors in first-tier cities stick to the "free Internet" concept and do not charge commissions. For Yang, the nature of the Internet business is monetizing on traffic. Buy low and sell high: it's the oldest business model. Yang knows he cannot become tech tycoons like Jack Ma or Lei Jun, and he doesn’t want to. In an industry dominated by a handful of giants, smaller companies find it hard not to depend on a big one. But in a much neglected place, Taoshouyou is doing well by focusing on a niche market.